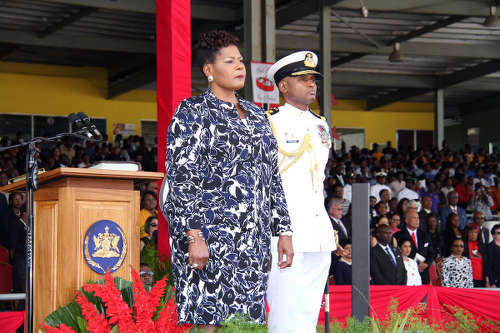 Her Excellency Paula-Mae Weekes became the sixth President of the Republic on Monday last. She gave an inaugural speech that was universally well received. 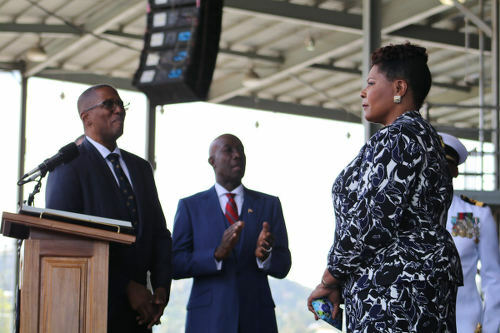 Photo: President Paula-Mae Weekes at her inauguration ceremony on 19 March, 2018. She encouraged us each to be a light in the home, the community, and the workplace by being examples of good behaviour, discipline, politeness, punctuality, honesty, tolerance and other virtues. 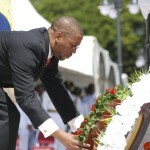 There is a likelihood, therefore, that the inaugural speech of President Weekes was simply received as the headline act of entertainment on the occasion of a ‘feel good’ day; but listening to many of the comments on her election and her speech, one could see clearly that, paradoxically, many of those applauding also believed that it was the task of President Weekes to relieve the crime, violence and injustice with which the society is now riddled. As a result, within the rest of the inauguration week, persons were describing the new President as an agent of change, calling on her to probe things and indicating they will be sending matters to her to take action—their frustration with our sorry state driving them to forget that the President has no executive power. 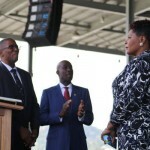 Photo: Newly sworn-in President Paula-Mae Weekes (right) is applauded by Prime Minister Keith Rowley (centre) as Chief Justice Ivor Archie looks on. What we need to do in response to the President’s replenishing of the reservoirs of hope is embrace and individually implement her prescriptions for civic turnaround. 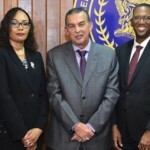 The theme of being lights for each other is a common theme running through the thoughts of great humanitarians and the speech of President Weekes. She has pledged “to work tirelessly night and day to do my best, by word and deed, both to be a light and to spread the light of others.” The challenge is whether we will heed her and each play a part to build on that theme and work towards a more civilised society. 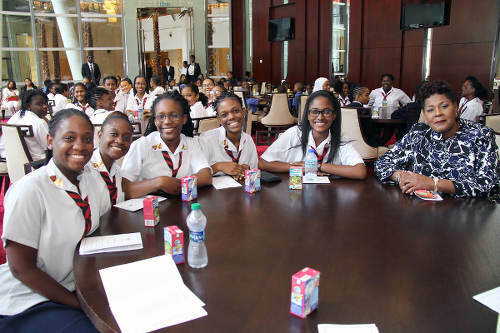 Photo: President Paula-Mae Weekes (right) sits with students from her alma mater, Bishop Anstey High School (POS,) at her inauguration ceremony on 19 March, 2018. Can we also hope this example will lead to diminishing the practice of adulatory greetings of our rulers? Can we equally diminish the strutting entourages that ruthlessly sweep away the least among us? Is there also a case to be made for confining fanfares to formal occasions such as the opening of Parliament and the official Independence Day celebrations, including the National Awards, Independence Day being the date to which many citizens hope that the awards ceremony will be returned? We have to sustain it. Well done Lady, well done. May you bring class and fair and balanced leadership to a nation that is losing the integrity race. Her speech resonated well with all of us. It actually brought forth a surge of pride in our nation. I hope it is sustained.